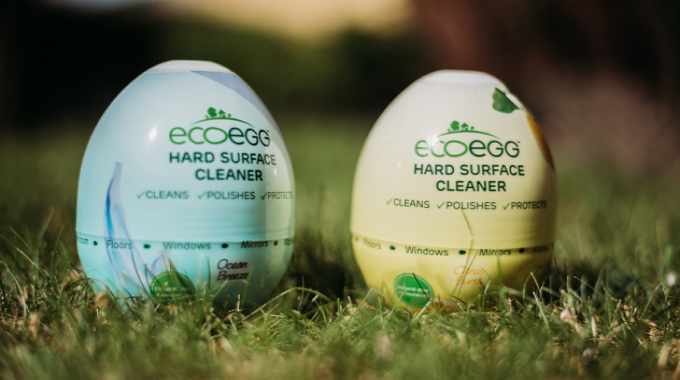 Clondalkin Flexible Packaging Bury has designed an eye catching and innovative shrink sleeve for an egg-shaped cleaner from Ecoegg. Based in the UK, Ecoegg produces eco-friendly laundry and cleaning products that don’t contain any harsh chemicals and are environmentally friendly. The brief given to Clondalkin Flexible Packaging Bury was to create a shrink sleeve that would encapsulate the container and stay attached even when the cleaner was twisted open. It was vital that the shrink sleeve remain on the product after first opening so that the instructions stay attached to each half of the egg-shaped container and are clearly visible. Producing the shrink sleeve for Ecoegg was a huge technical challenge due to the complexity of the unusual and eye-catching container shape, accord to Clondalkin Flexible Packaging Bury. Paul Mayall, its shrink sleeve technical manager, explained: ‘This gave us the challenge of designing and producing a perforation that peeled down and around the product to reveal the center of the container, which is twisted open to reveal the cleaning paste and sponge in each half of the “egg”.